This weekend I was playing on Pinterest and I saw this pin over and over. When I clicked on it - it led me to a website looked like a European version of Pinterest, it wasn't in English, so I can't be sure. I hate not being able to share the origin - so if you know the source please send me the link so I can share it. 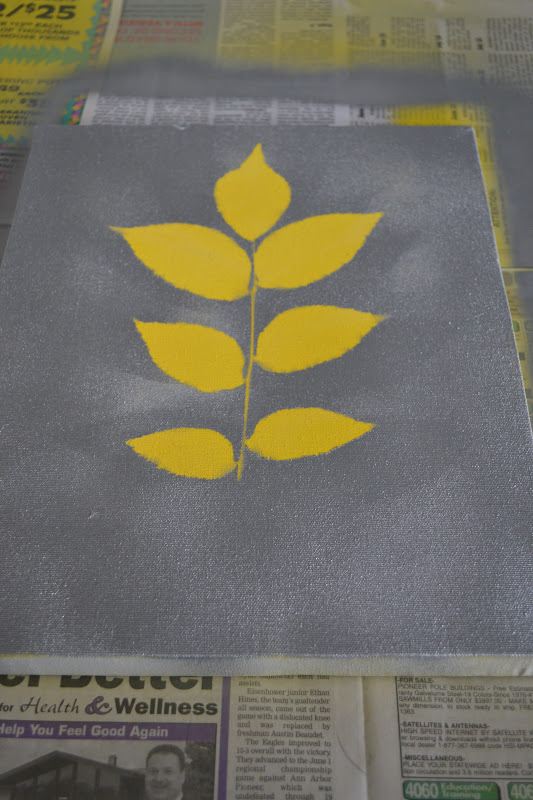 The supplies I needed were 3 colors of spray paint, random leaves, and canvas. 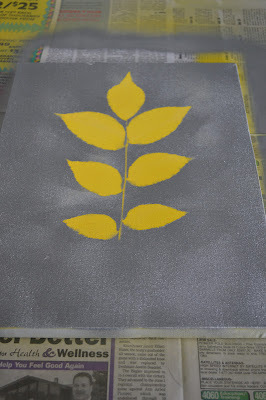 I chose the leaves I wanted and positioned them in place for a test run. Next I covered the canvas in spray paint. Letting the paint dry is key for this craft. I struggle with letting paint dry, so I set to work on another craft in the meantime to keep me busy. I've learned throughout the whole Kiss My Smash experience that I'm a very impatient person. I've also learned, with me, distraction is key. Next I used spray adhesive to put the leaves in place. More waiting. When I thought the spray adhesive had dried enough, I covered the entire canvas in silver spray paint. Then more waiting. More patience required. This is tough. 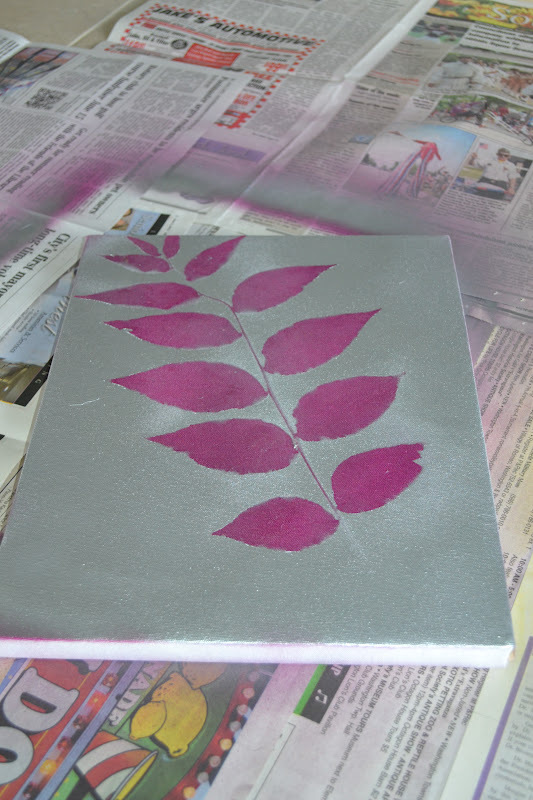 I very slowly peeled the plant off the canvas. I knew the adhesive wasn't very strong from the LOVE/Fail post. If you try this craft make sure your adhesive isn't too strong. I hung these two little friends under the LOVE letters. Now I want to put one big rectangular piece above the LOVE letters to complete the wall. What do you think? This was a pretty easy craft aside from the necessary patience. Give it a try and let me know how it goes! Do it! It was so easy! Just don't hang it up crooked, like I did!